There are many different troubled teen programs that, as a parent, it can be difficult to decide which program will work for your child. Each program brings different benefits to the table that can help your teen. If you are the parent of a troubled teen and you are seeking help from residential treatment centers , call 1-800-675-8101 today. Different schools and treatment can include therapeutic boarding schools and other boarding schools, residential treatment centers, behavioral modification programs, boot camps, wilderness programs, etc. Each program should be researched thoroughly to see if they will work for you troubled teen. 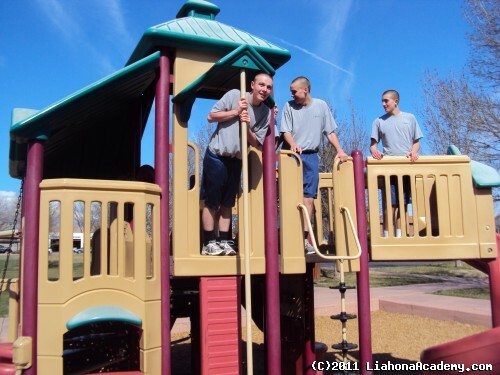 As a residential treatment center, Liahona Academy has discovered effective programs and curriculum that have best helped the troubled boys that decide to stay with us. We have found that by removing teens from the initial issue, they become more open-minded and find relief from the other pressure of the world. The programs being offered at residential treatment center help a wide variety of issues in troubled teens. Because of the issues listed above, it is common for teens to act out and make decisions that negatively effect friends and family around them. When these choices begin to negatively effect the people who love your teen the most, it is time to get help. A positive support system is the foundation to helping your troubled teen get back on track. At Liahona Academy, we provide that for your child when every one else feels like they can’t anymore. Our faculty and staff have been professionally trained to help teens get back on the path to greatness. We build friendships and bonds with each teen to help support them through this difficult time. Residential treatment centers have help troubled teens and their families from all over the nation. Liahona Academy is no exception to that and we are willing and ready to help your child get back on track. If you think that Liahona Academy is a good option for teen, call us 1-800-675-8101 for more extensive information.